Princess Esra does not require much introduction. 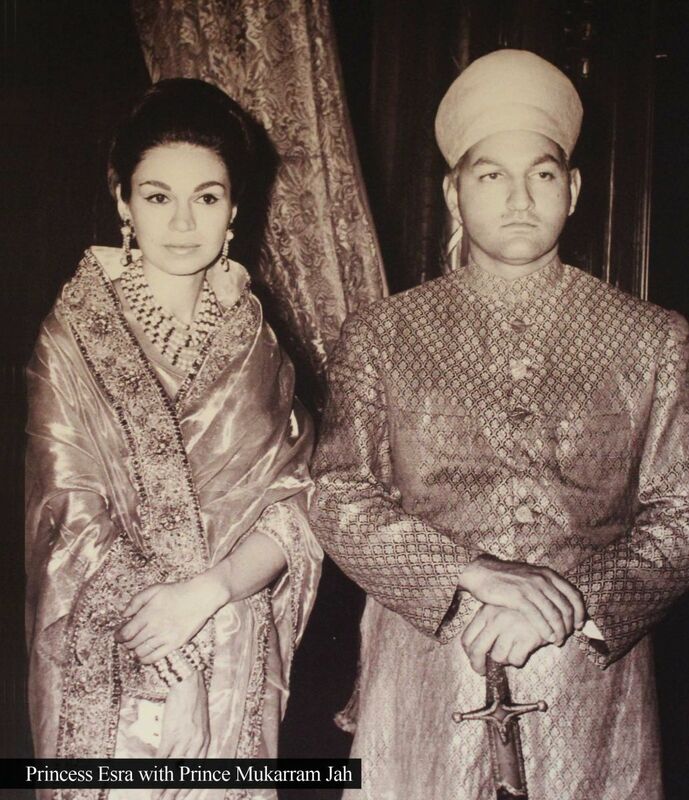 However, to our readers from different parts of the world, Princess Esra was the wife of the 8th Nizam of Hyderabad, Prince Mukarram Jah. 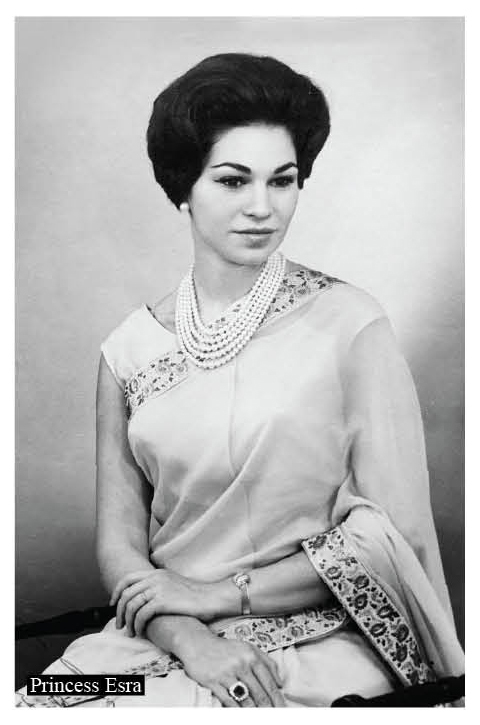 Though originally from Turkey, she got married in 1959 and came to Hyderabad amidst great fanfare. She has two beautiful children – a son Prince Azmet Jah, and daughter Sahibzadi Shehkyar Begum. She single-handedly managed to have the crumbling Falaknuma and Chowmahalla Palaces restored and put on the world map. She is an unstoppable lady, not giving up until she achieves what she sets out to do. Her energy levels are unbelievable; travelling between Turkey, London, California and Hyderabad, making sure she gives every bit of herself to the city. 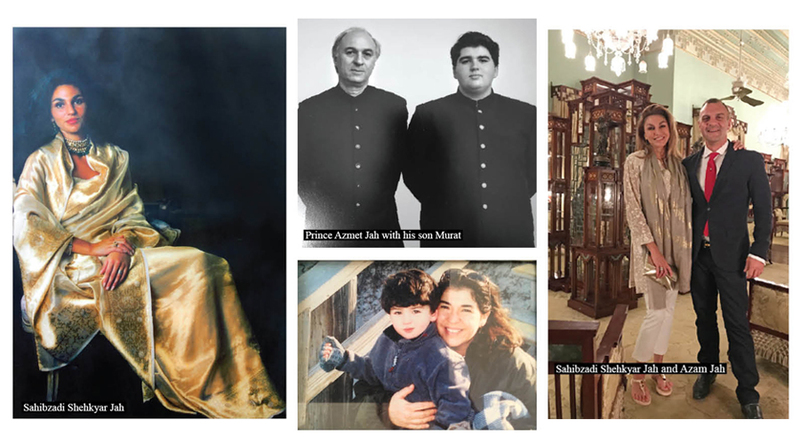 She now hopes to somehow get the Nizam’s jewellery, which is lying in a vault in Mumbai, to be put on display in Hyderabad, so that it’s a further boost to tourism for the city’s benefit. 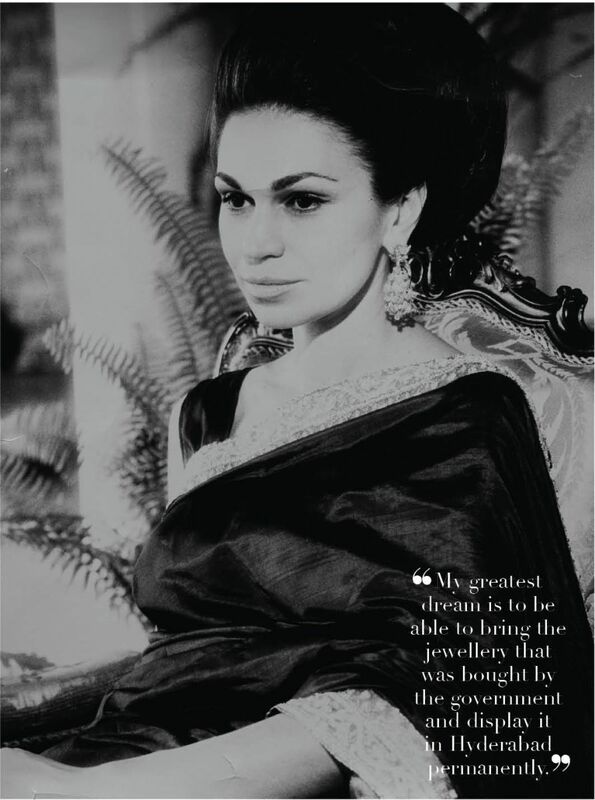 Her dedication to Hyderabad and her selfless work towards the betterment of the city of Nizams continues. It was truly a pleasure to have had the opportunity to speak with Princess Esra Jah at her beautiful home. 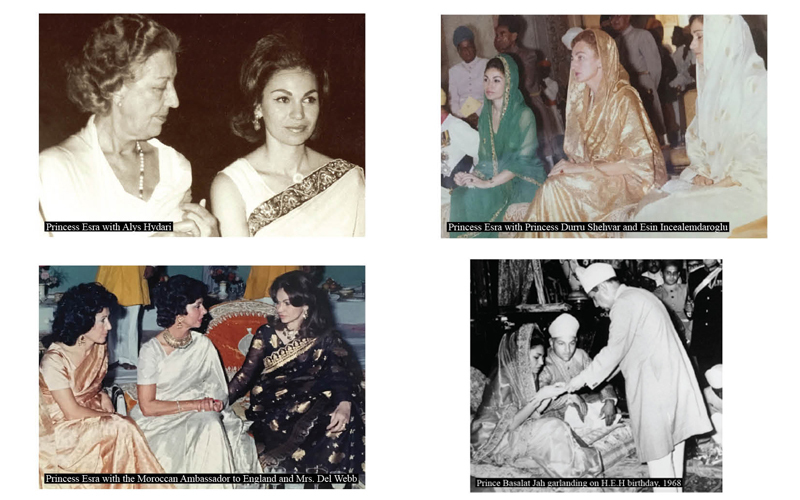 Though I have spent time with her on several occasions, it was a wonderful opportunity to just sit privately; I truly appreciate her having shared with me so many insights into her remarkable life. 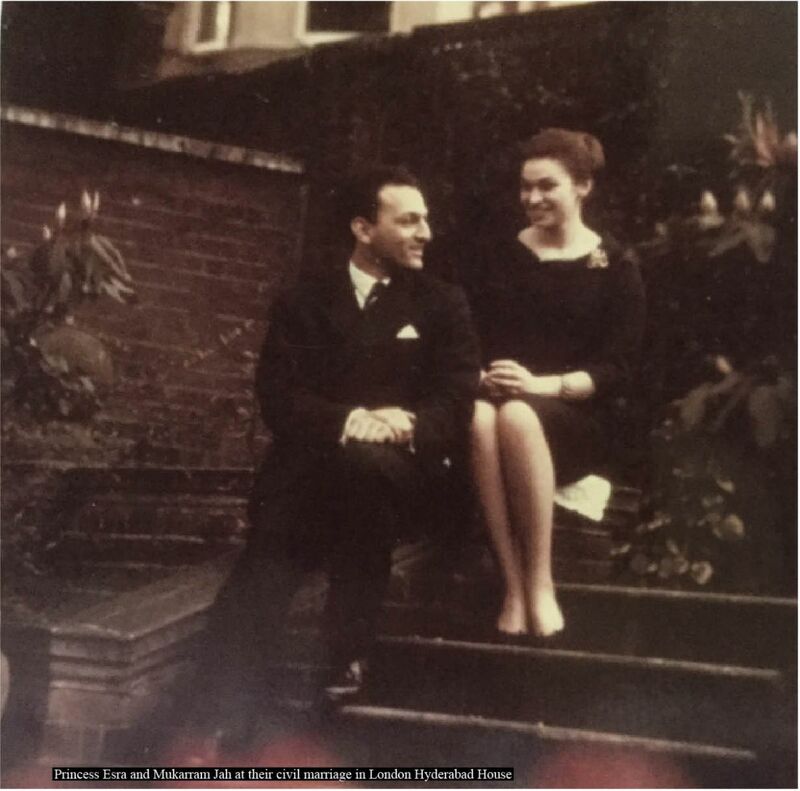 My mother-in-law, Begum Bilkees Latif, had originally planned to write about Princess Esra, and I am honoured that I have had the opportunity to do so. I know Turkey is your homeland, and you spend quite some time in Hyderabad. Where do you currently live and how often does your family visit Hyderabad? While I shuttle between Hyderabad, London, Turkey, and a bit of California, my family makes visits to Hyderabad. My grandson visited the city for the first time when we hosted the Cartier Travel with Style event, and he felt very much at home here; he loved it. In fact, looking at how comfortable he was and the way he mixed with the people here, you would’ve thought he was brought up in India! My son and daughter were away from India for a long time, unfortunately. But now they are very happy with what’s happening and are very proud to be part of everything. My husband’s son from Australia comes to Hyderabad too, and he too is very enthusiastic about things. Since the loss of her mother, Mukarram Jah’s third wife, I think their daughter will be interested in things as well. How different is the culture in India when compared to the West? There is so much in India that people do not appreciate. When I first came here it was wonderful; the manners were impeccable. The way the Hyderabadis talked, walked, salaamed, ate... everything was wonderful, even the local cuisine. But now it has all changed; even the manners of the people have changed. We love the Western culture, but we do not adopt the best of what it has to offer. I mean it’s not all about the hamburgers or torn jeans, you know. We actually take the worst of the West in my opinion, apart from science and medicine. It’s wonderful to be modern, but going by the rate of modernisation, people are losing their traditions, and that really upsets me. How has vanity changed over the years, since you first visited the country? 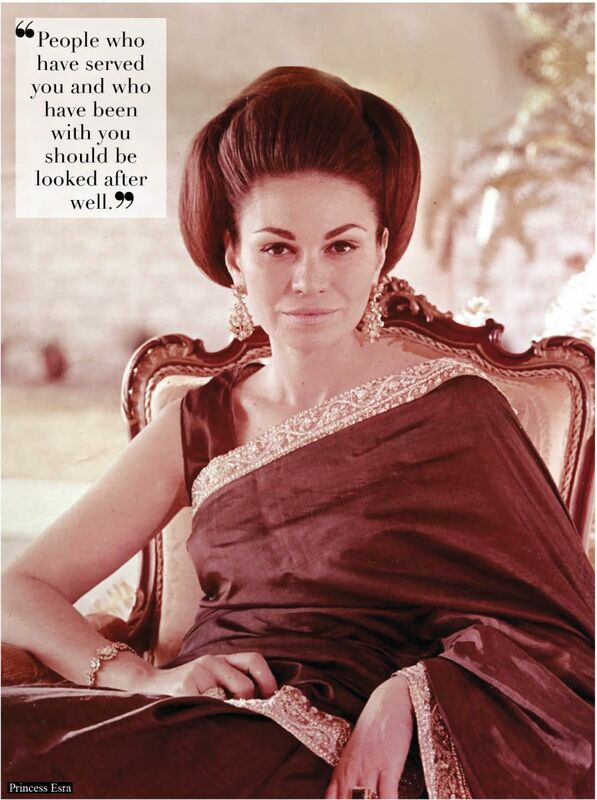 Wealth and jewellery was a form of security back then, not a status symbol. But now, I think, this sort of splashing around of wealth has become a norm. It’s your choice at the end of the day, but in my opinion, it should not be so much in the public eye. When people are sort of starving and you talk about the amount you have spent on flowers, let’s say for a wedding, it’s just unnecessary. In our days, weddings used to take place within our house and with only our immediate family in attendance; it wasn’t out in the public. But now, with the big hotels as venues and so much press coverage, there is too much for people to see and hear, and I’m sensitive to that. How prepared were you for the pressures that came with marrying into the royal family? I didn’t realise there would be so many pressures, honestly, because I was not marrying into a normal royal family. However, it was about moving into the 18th century, so it was a bit more difficult than I thought. What’s the most challenging thing about being a princess? I find being a princess now is a disadvantage, because the vision of a princess has changed tremendously, and I don’t like being in the public eye at all! I am very happy to be myself and not a princess. 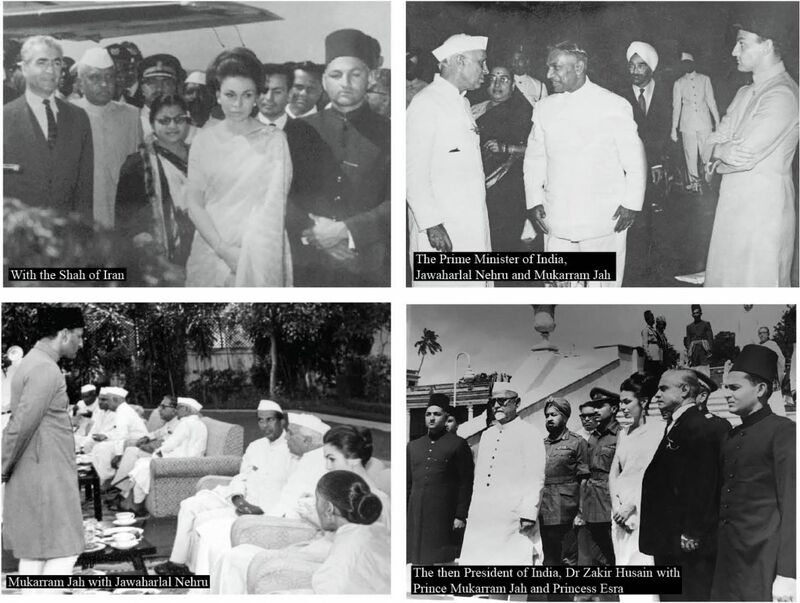 What was it like for you when you first arrived in Hyderabad? I felt very awkward at the airport, as I didn’t know anyone. The person who came and helped me was Alys Hydari. People were putting these garlands on me, one on top of another, at the end of which I couldn’t see anything or breathe as I was covered with garlands! I didn’t know I was meant to take them off. That’s when this lovely lady, Alys, came and took off the garlands and made me feel comfortable. From then on, she and her family became very close to me. I have the greatest admiration for her son-in-law, Idris Latif, too. 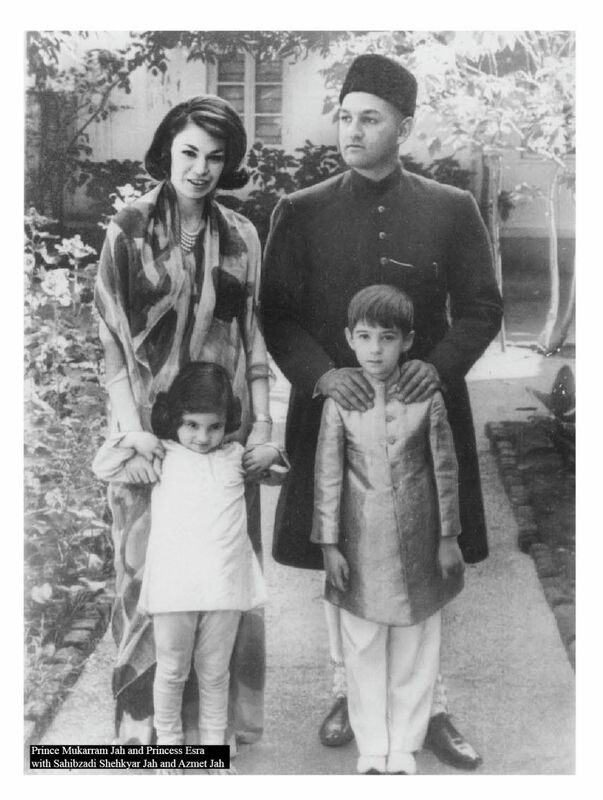 He was the first and only Muslim Air Chief Marshal, and Chief of Military Staff that we ever had in India, and he too had a wonderful wife, Bilkees, who did so much for so many people. Tell us about your friends in the city. I have made wonderful friends here who are extremely supportive and very kind. I have some very early friends like Begum Basheer Jung, Begum Habib Jung, Rajkumari Indira Devi, and of course your mother-in-law, Bilkees Latif. However, I didn’t see Bilkees as often because I was travelling, and she was away posted in France and Mumbai for a while! Now too I have some very good friends in Hyderabad, including Mrs. Indira Reddy, the Reddy families and the Apollo Hospital family. They are all as supportive as they can be towards me. If you could turn back time, what changes would you make to your past? I would definitely stay in India and not go away, and I’d undo everything that has happened in the past! What family traditions do you wish to keep alive? I think everybody should be proud of their background and lineage. And I think my children have a wonderful lineage, both from their grandfather’s and grandmother’s side, and they have to live up to that. 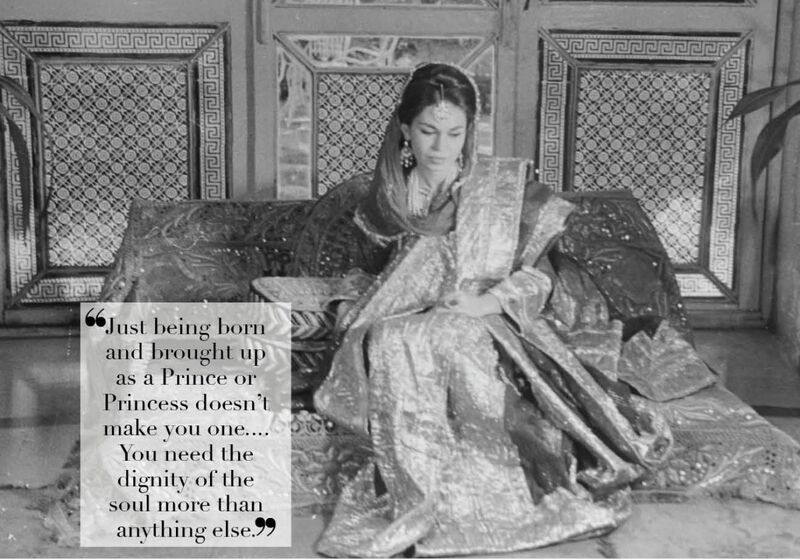 Just being born and brought up as a prince or princess doesn’t make you one. To play that part, you have to behave like one. You need the dignity of the soul more than anything else. I would like my children to be dignified in all situations. You’re the epitome of simplicity and elegance when it comes to dressing. Is there any particular style you wish you had tried? That’s a difficult question, because I have tried most of the costumes, even a dancing girl’s costume, by mistake (laughs). When I first arrived in Hyderabad, my father-in-law sent me some trunks as a present, and I didn’t know what they were. For one dinner that was being hosted, I decided to wear one of the garments from the trunk, and I was very happy in it. As I was coming down the stairs, I was stopped by the ADC who asked me to go back up. When I asked him why, he said I was wearing a dancing girl’s outfit! Turns out, it was the wrong trunk that was sent to me (laughs)! What’s your favourite family heirloom? I like some of the objects and wonderful sarees. I like anything to do with art. I can’t name one heirloom as my favourite, but if I had to pick, I’d pick the three-row diamond Briolette necklace. You almost singlehandedly turned the Chowmahalla Palace and Falaknuma Palace that were becoming ruins into a successful museum and hotel, respectively. How did you manage the task all by yourself? I always wanted to do something for the city, but it was a bit difficult when I got married because my husband’s grandfather was alive, and my life was very restricted back then. There was a certain way one had to behave, places one could go, and who one could see. After his death, however, we had the possibility to do things our way, but then we had enormous problems: the death duty, the tax was 98%, etc. Then our privileges were taken, and the land was taken; it was impossible to keep up one’s dreams. Later, I got divorced, and after 20 years, Mukarram Jah asked me to come back and help out in Hyderabad because everything was in a mess and there were big problems. When I came back, the whole place looked as if it was the loot of Delhi by Nader Shah. There was nothing left; everything was taken. It was terribly sad, and I thought to myself that I have to give something of the family back to Hyderabad. It was our duty. I first took on the Chowmahalla Palace. Initially, it was a nightmare, facing the innumerable and intricate legal issues, and I thank Barrister Vijay Shankardass who played an extraordinary role along with his two colleagues. We restored Chowmahalla within a few years with the help of Rahul Mehrotra and Anuradha Naik who are wonderful restoration architects, as well as Rahul Jain and textile expert Martand Singh, along with several other experts. Martand Singh who was the Chairman of Intach was an extraordinary man, not just due to his knowledge of intricate weaving techniques, but due to his inspiration and guidance to craftsmen, handloom students, and designers. Rahul Jain is now working on a book on Hyderabadi embroidery, which is unique as it is three-dimensional. Anuradha, besides the wonderful renovation of the City Museum, has been doing restoration in Hyderabad for years, and continues to work on restoration and exhibitions with us on a semi-permanent basis. My sincere thanks to all of those who gave so much time and love to the Chowmahalla. 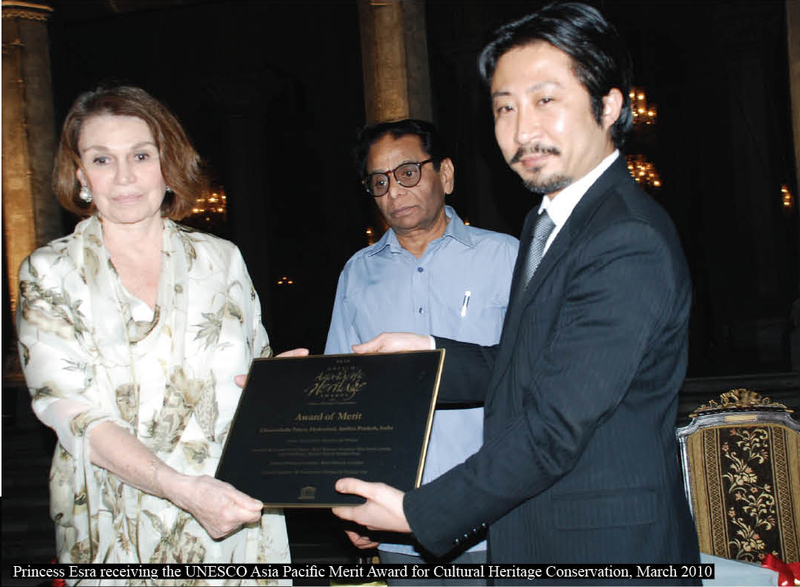 When the Chowmahalla was officially restored and reopened in 2005 after five to six years of work, it was the biggest reconstruction work taken up in India since 1947, and the only site to get a UNESCO Asia Pacific Merit award for cultural heritage conservation in Hyderabad. I was very happy to have done it. 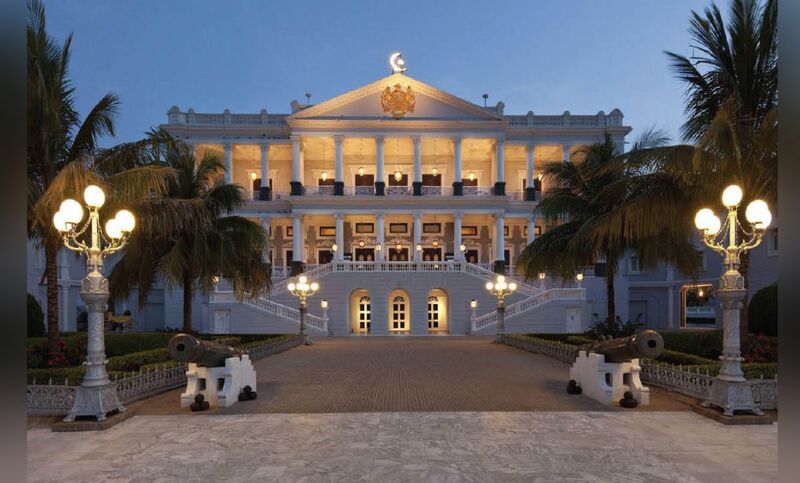 I then worked together with the Taj Group, and with their full support, Taj Falaknuma Palace came into the picture again. 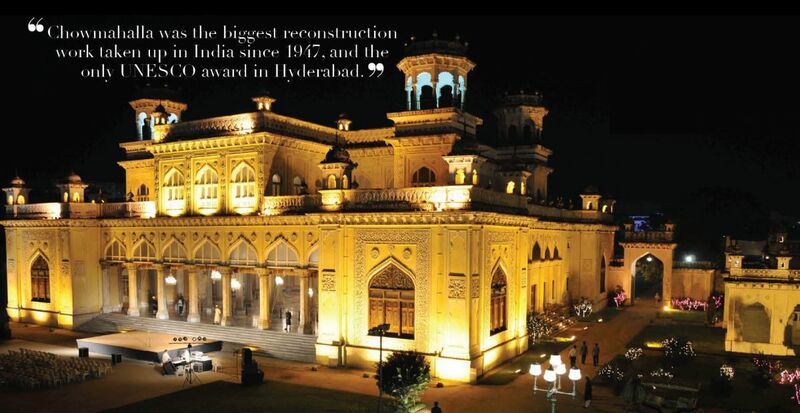 I really think that except Hi-tech city, there was nothing else in Hyderabad that could put the city on the world map until Falaknuma Palace was restored, and for a matter of fact, now even Chowmahalla Palace. We have 7,000 people visiting Chowmahalla Palace daily, most of them being students. I am very happy that the new generation is far more interested in their history and past. I see children taking great interest and I am very happy, because what is in the past will be the future of India. I believe you are not remembered for how rich you were, how beautiful you were or how strong you were. You will always be remembered for the monuments you leave behind and for what you have done for people. And most importantly, for the person you are, instead of all the superficial things. I want to be able to produce our rich culture and heritage for the next generations to see, and I am very happy that at least two landmarks are seen and appreciated by people. I didn’t do any of it for personal gain or interest. The whole project of Chowmahalla was paid for by Mukarram Jah’s personal money. All the income from the palace goes back to its fund in order to maintain it; since it is not a cement building, it has to be repainted and retouched every three years. It was my dream to be able to do something for the city, and I am happy that I managed to do it. What about the funding for the restoration? The one thing that upsets me is that most of the restoration work for the residency is done by the World Monuments Fund; Aga Khan Foundation did the Qutub Shahi tombs, Deccan Funds was responsible for the Kakatiya Kingdom ruins, which is enormous but hardly anything is left now. 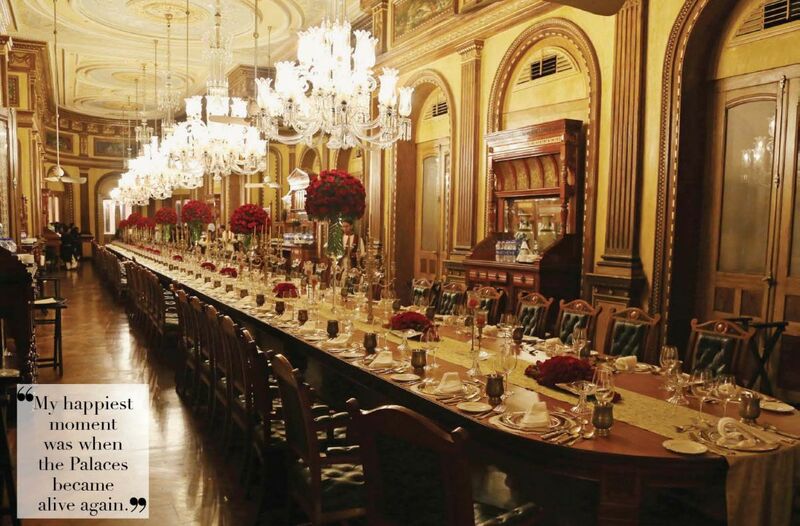 The restoration of Taj Falaknuma Palace was done by us with the help of the Taj Group. 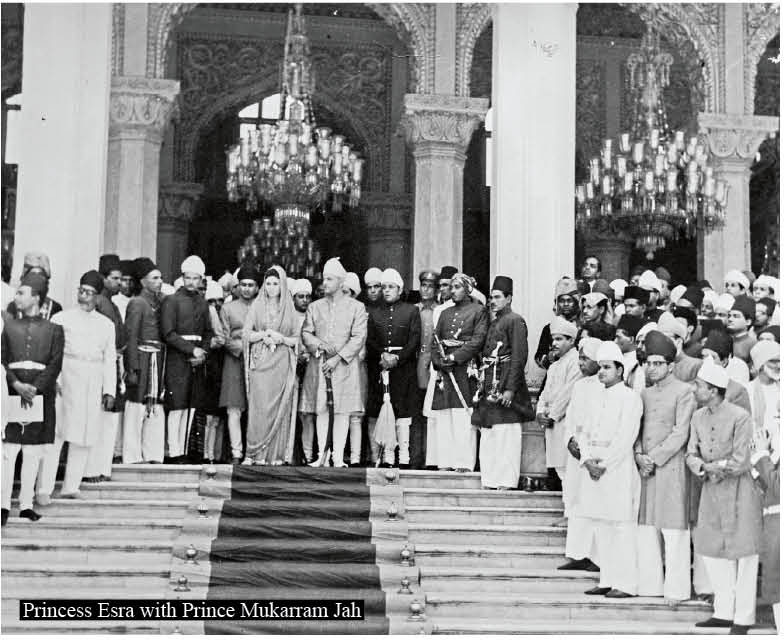 Chowmahalla Palace too was done with Prince Mukarram Jah’s funds... I mean there isn’t a group of people who get together to bring this together! India gets seven million tourists and they are very happy with it. But France, which is the size of Hyderabad, gets 30 million! That is what I want for Hyderabad too, not just to have more tourists, but for more people to know its rich heritage, values, and traditions. when the palaces came alive again, but I hope that changes to when the jewellery is presented in the city. How did you ensure that the original structure was restored without any damage? Like I said, I had a great restorer architect and team of people who knew what they were doing. Restoration work is much harder than building new structures, so it is very important to have the right people. Are your children involved too? Well, my daughter has now started a museum shop at the Chowmahalla Palace, and my son is trying to put together a film on the seventh Nizam. They are both interested in making a change. But they’ve been away from the country for so long that it will take some time getting used to, as the pace at which things move is much slower in Hyderabad. There are also new obstacles that come up every day, and being brought up in the West, they can’t seem to get used to it… it can get quite frustrating. Although they would love to spend more time here and do things, it’s very hard to get things done. I face new obstacles everyday too, even on things that I am positive about. 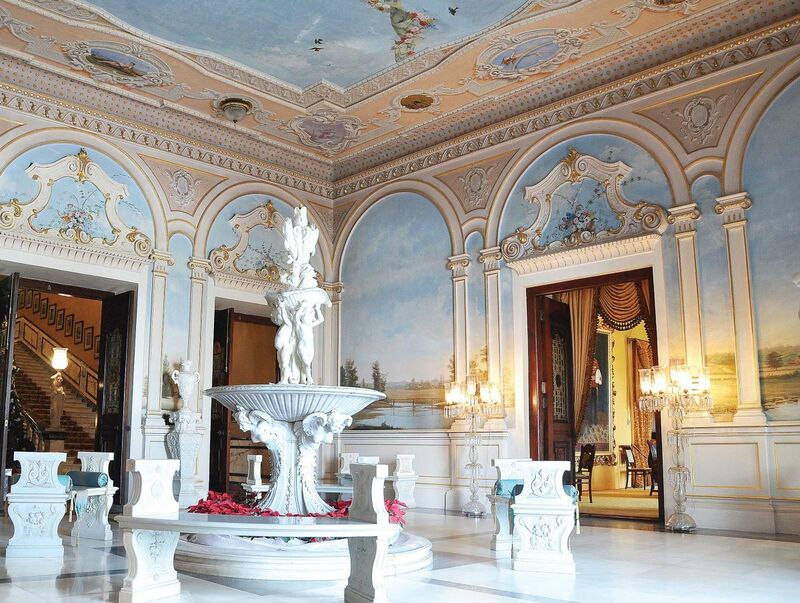 The iconic Falaknuma Palace has a rich history. What is your personal connection with it? We really just used it to give receptions. We never lived in it or used it. The seventh Nizam also used it only for his guests, so I don’t have much connection with the palace except for the restoration process. What do you wish to accomplish through your work at the Chowmahallah Palace? When you train the eyes of the young to appreciate the art in India, when they visit museums, they will be proud of their background. And they will also reflect what they know to the future, which is very important. What are some of the happiest moments in your life so far? I think it was when the Falaknuma and Chowmahalla Palaces opened. They were a dream so far away. But in reality, they didn’t exist, and the way it happened was, for me, the happiest moment! Because in life, reality is not always very joyous. What is in your mind and fantasy is much happier than reality, and when your fantasy becomes reality, you see it all from a different angle. So my happiest moment was when the palaces came alive again, but I hope that changes to when the jewellery is presented in the city. What’s the state of affairs on the possession of the Nizam’s jewellery by the RBI? My greatest dream is to be able to bring the jewellery that was bought by the government on the basis of the legislation passed, and display it permanently in Hyderabad, in a government building with government security. If I can manage that, my mission will be complete. I am trying very hard, but even in Delhi some members of the government don’t even know about the existence of the jewels. They are all sitting in a safe in Mumbai. I think that is very unjust, and the jewels should definitely be on view here. They belong to the city of Hyderabad and to these people, so they should be able to appreciate it at least! 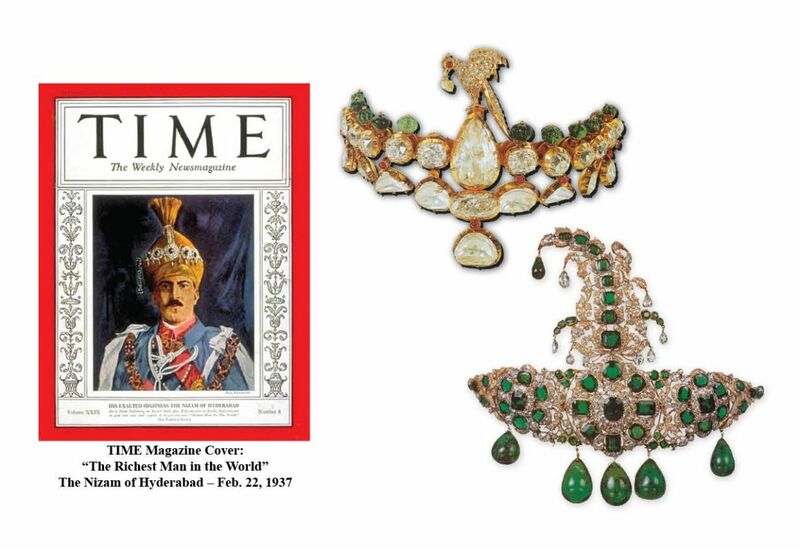 What do you wish to convey to people through the Nizam’s jewels? 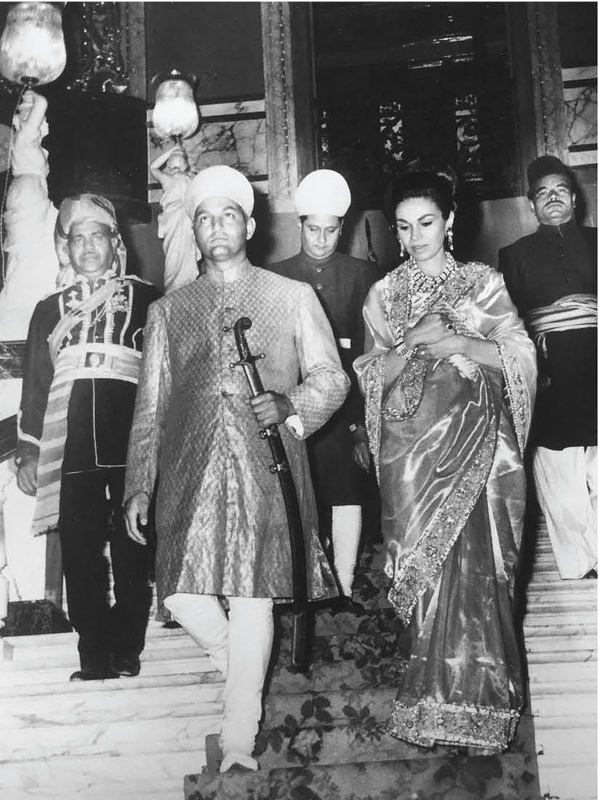 People all over the world have talked about the wealth of India – the wealth of the Maharajas and Rajas and the Nizam. There are still books and articles written and photographs published of it. Yet there’s nothing to show of the wealth, except the palaces that have now turned into hotels. But that is India’s history, India’s past, you can’t wipe it off! So what better than to show at least one state’s jewels which are available in the country? How would you describe your attachment to Hyderabad today? My attachment is really great, otherwise I wouldn’t be here after 22 years, trying to work things out for Hyderabad. Although I am a non-Hyderabadi and non-Indian, I feel like I belong here. What are your views on the current governing body in the state? My only hope now is that the new Chief Minister and his son do things for Hyderabad and try to bring it up in every field. I see a change already, and I do hope that they’ll take an interest and do more for all of us who have great respect for the government. The Cartier Travel with Style event was held in Hyderabad for the first time in 2017, thanks to you. How did you manage that? I knew all the people who were involved in it. 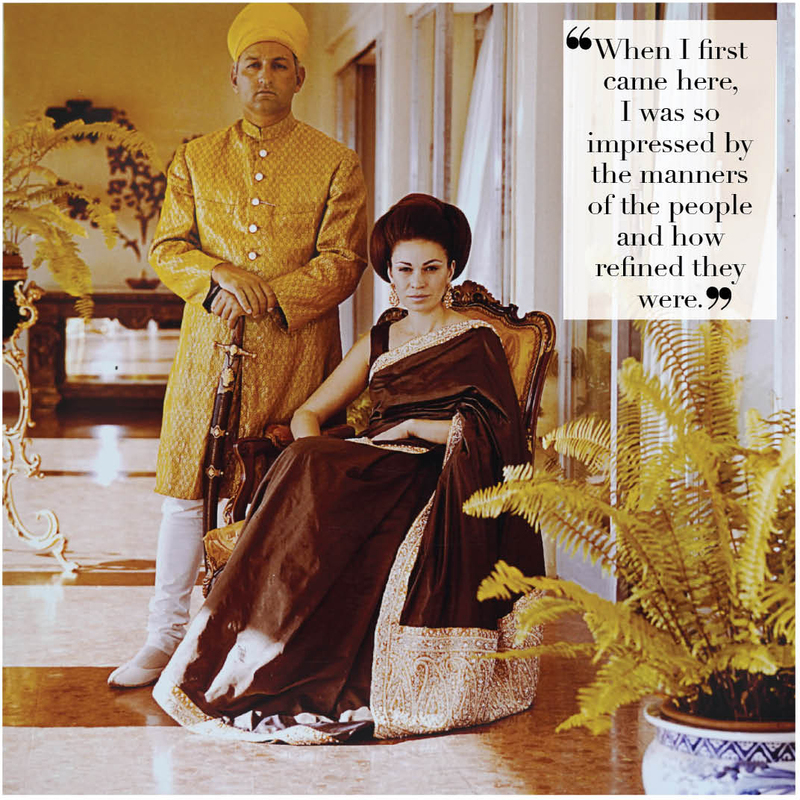 And Prince Manvendra, the Cartier people, and also Mark Shand were friends of mine. We had been planning to do it for quite a while. Will we see more such events in our city? What genre of books do you read most often? I read a lot of historical books, and biographies and autobiographies. Doing nothing, just sitting and reading. Can you share some special anecdotes from your early life? I have funny anecdotes more than serious ones. When I moved to Hyderabad, I couldn’t speak Urdu. I was meant to learn it when I visited England but for some reason I couldn’t. So when I returned, we were invited to the palace for a wedding. I was worried about what I would do if someone spoke to me in Urdu, but was reassured and told to reply to everyone who spoke to me in the language with ‘Mubarak’. Since it was a wedding, we thought it would be fine, so throughout the party I was smiling and saying ‘Mubarak’ to everyone. There came an instance when a lady said something to me in Urdu and I replied with a ‘Mubarak’ and suddenly everybody was looking at me in horror. Apparently, she had said she just lost her husband and it was the first time she was coming out, to which I replied ‘Mubarak’. Another instance was when I wanted to tell someone to bring grapes from the fridge and instead of saying angoor I said langoor (laughs)! You are known to be very giving and caring to people from all strata of society. How different is it to deal with staff now, compared to earlier? In the olden days, I always found the families who had staff had a great affinity with them. The staff felt secure that whenever they would retire, they would be looked after. Therefore, they were devoted loyal, and an extension of the families. But now I find there is a total division, and people are not very aware of it. And even if they are, I don’t see them levelling up with people who have nothing, and they show no empathy. I don’t just mean material empathy, though; I don’t see people talking to the staff, showing them kindness, or extending courtesy. I don’t like people who are in a very high position treating their staff badly, because they can’t answer back. You can treat people of your own level badly, but not people who are helpless. To me that is very important. People who have served you and who have been with you should be looked after well, and not be left to fend for themselves when they are of no use to you anymore. That is sadly a very Western trend. Tell us about your charitable activities. A few years ago, I realised that in the Old City, the widows and the girls who are at a marriageable age sometimes had very little funds. So, I started an organisation at Purani Haveli, in one big room. We got sewing machines and tables and everything else they needed to learn how to stitch, including two teachers who taught these girls how to do embroidery. In fact, Nargis Yar Khan helped me a lot in setting this up and training these girls and widows. They stitch various things at the Purani Haveli and we try to sell their work. Through this, they either make some money or they prepare their own trousseau. We have 45-50 people at all times. I wanted to help women with very little money by teaching and training them. But this too is difficult because many people don’t want to send their daughters to work. I find that the women in the Old City have very restricted lives. It will, however, be wonderful if they manage to make some money and become more independent.